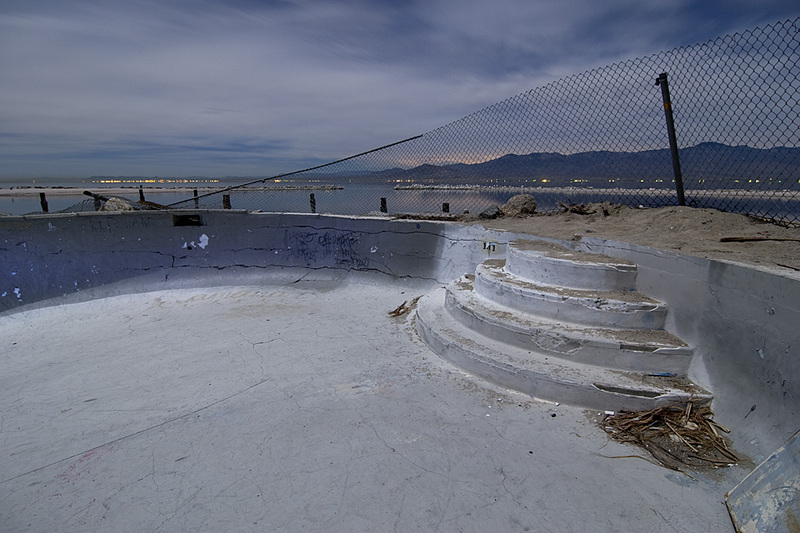 Salton Sink ::::: 2008 ::::: Shoreline decay at Salton Sea Beach. 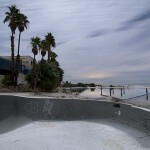 A Wee Piece ::::: 2008 ::::: Salton Sea Beach. 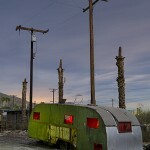 Salton Sea Trailer ::::: 1992 ::::: Salton Sea Beach. 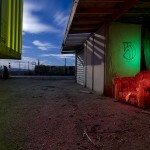 The Gold Chair ::::: 2001 ::::: Palms Motel. I'm not gonna smell it, YOU smell it. 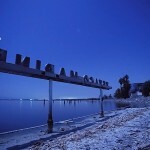 The Terminal Beach ::::: 2000 ::::: Salton Sea Test Base Seaplane Pier. 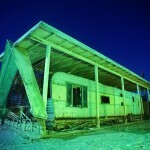 Ground Zero ::::: 2000 ::::: Salton Sea Test Base. 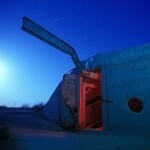 Ammunition Bunker ::::: 2000 ::::: Salton Sea Test Base. 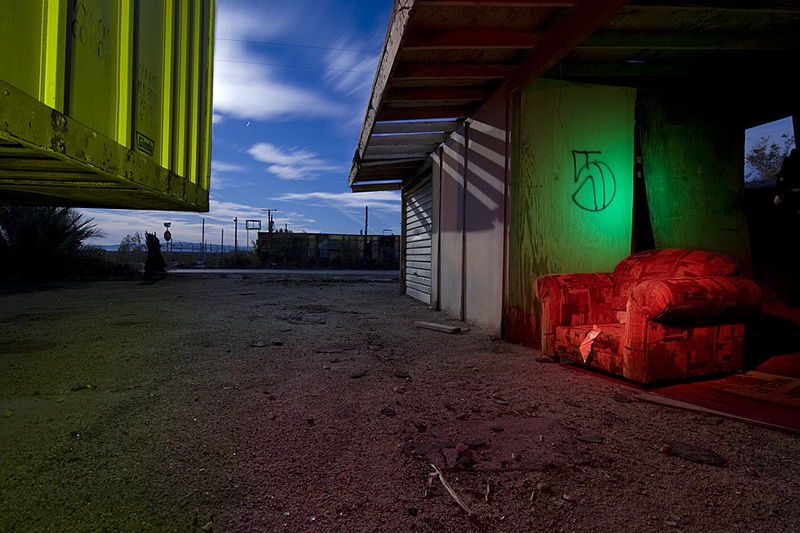 Number Five ::::: 2008 ::::: Salton Sea Beach. 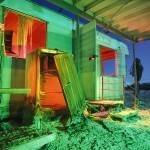 Hide Away ::::: 2008 ::::: Salton Sea Beach. 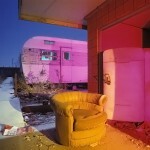 Neopolitan ::::: 1992 ::::: Salton Sea Beach. Marina Drive ::::: 2008 ::::: The road to the Northshore Marina. Albert's ::::: 2008 ::::: The Northshore Marina, opened in 1958. Funky Dank ::::: 2008 ::::: The Northshore Marina. Bathing Beauty ::::: 2008 ::::: The Northshore Marina. Texaco Marine ::::: 2001 ::::: The Northshore Marina. By 2007 all the letters had been stolen. 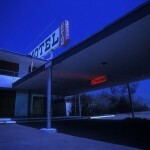 Northshore Pool ::::: 2001 ::::: The modernist Northshore Marina Motel. 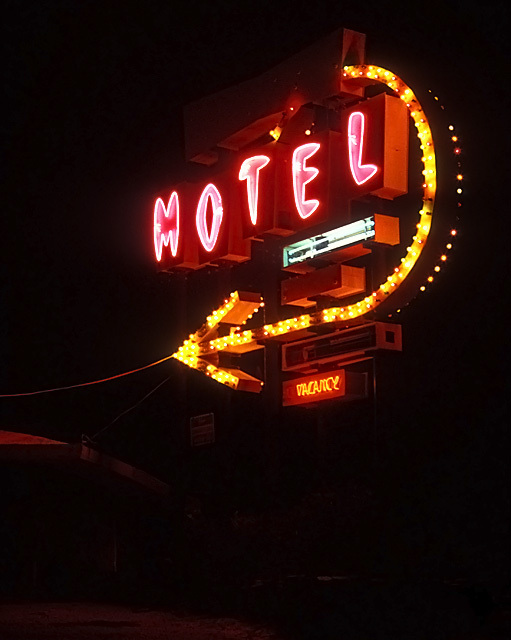 International Style Serifs ::::: 2001 ::::: The Northshore Marina Motel. Razed in 2007. 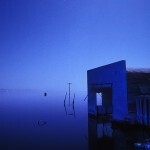 Inundated Garage ::::: 1992 ::::: Salton Sea Beach. 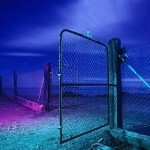 This site no longer exists. 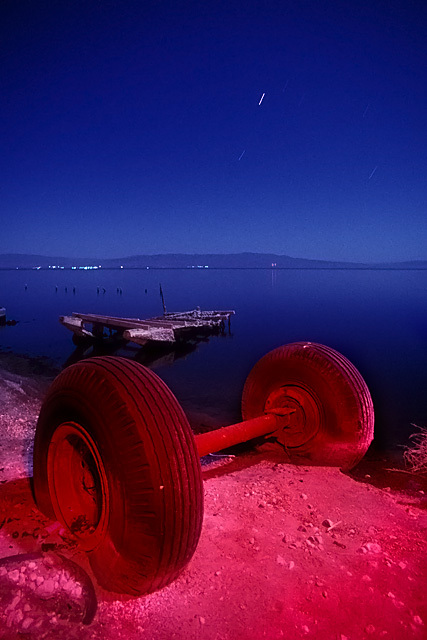 Quonset ::::: 1992 ::::: Salton Sea Beach. 3AM, still over 100ºF. Axel ::::: 1992 ::::: Salton Sea Beach. 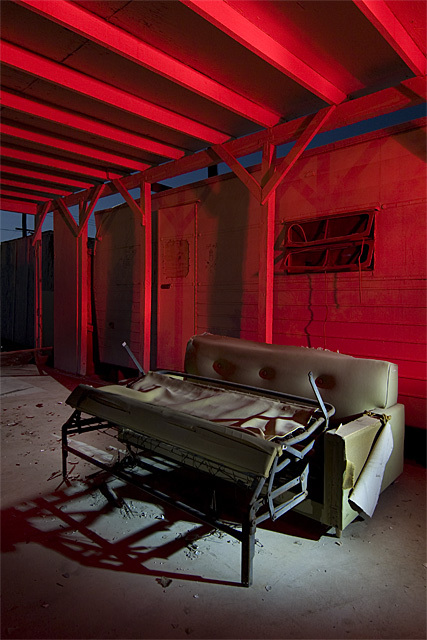 Pile Of Bricks ::::: 2008 ::::: Salton Sea Beach. 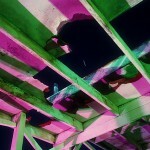 A-Frame ::::: 1992 ::::: Salton Sea Beach. Clouds About Mercury ::::: 2008 ::::: Salton Sea Beach. 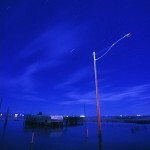 Bombay Streetlight ::::: 1995 ::::: Bombay Beach. 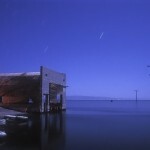 The Baths ::::: 2000 ::::: Near Niland, lost in a shoe-sucking, mosquito-infested, quagmire. 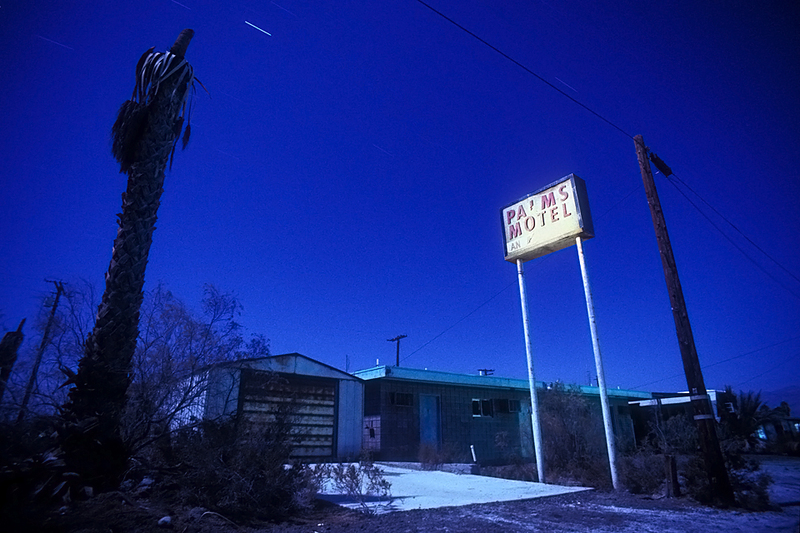 The Palms Motel ::::: 2001 ::::: Abandoned since the late 1970s. 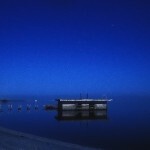 Salton Sea Beach. 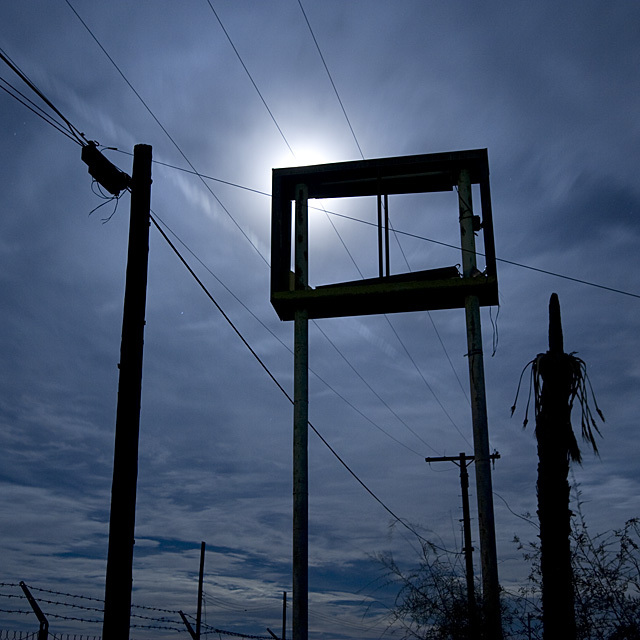 Palms Signbox ::::: 2008 ::::: Same sign, 7 years later. 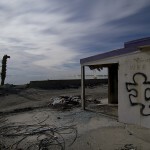 Full House ::::: 2008 ::::: Salton Sea Beach. 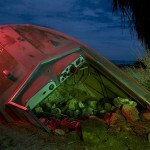 Ship Wreck ::::: 2008 ::::: Salton Sea Beach. Someone's yard ornament. 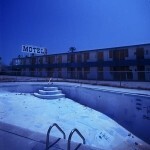 Sundowner Motel ::::: 1992 ::::: Salton City. 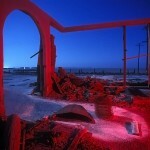 Closed, burned down and bulldozed by 1995. 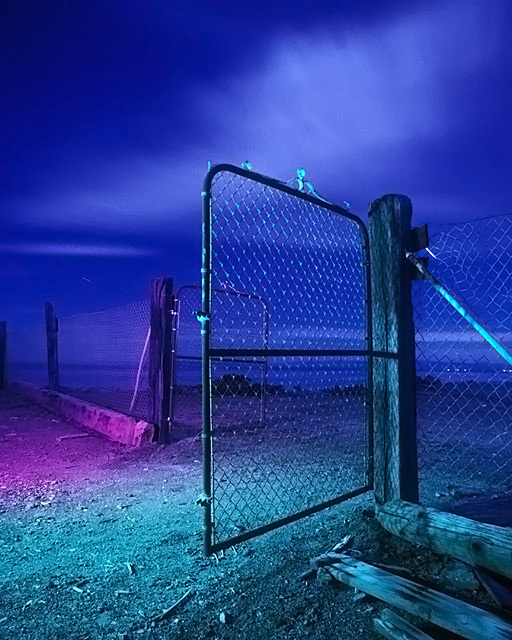 Gate To Nowhere ::::: 1995 ::::: Bombay Beach. 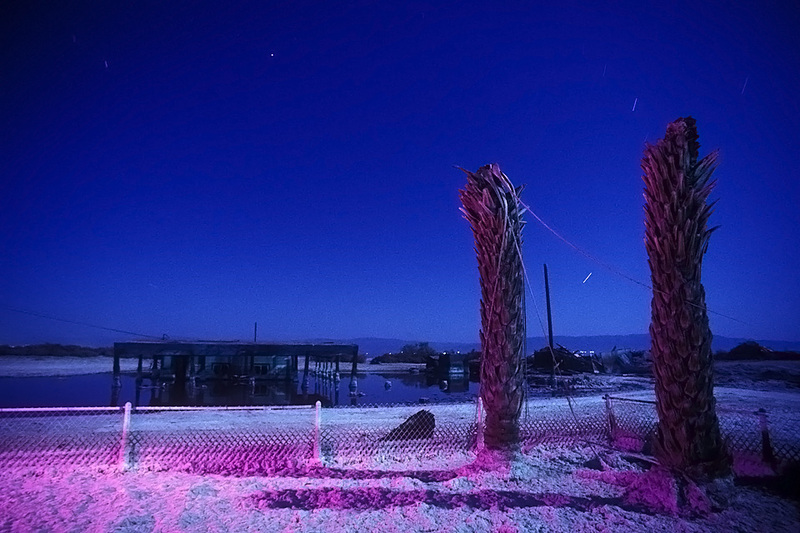 Twin Palms ::::: 1992 ::::: Salton Sea Beach. 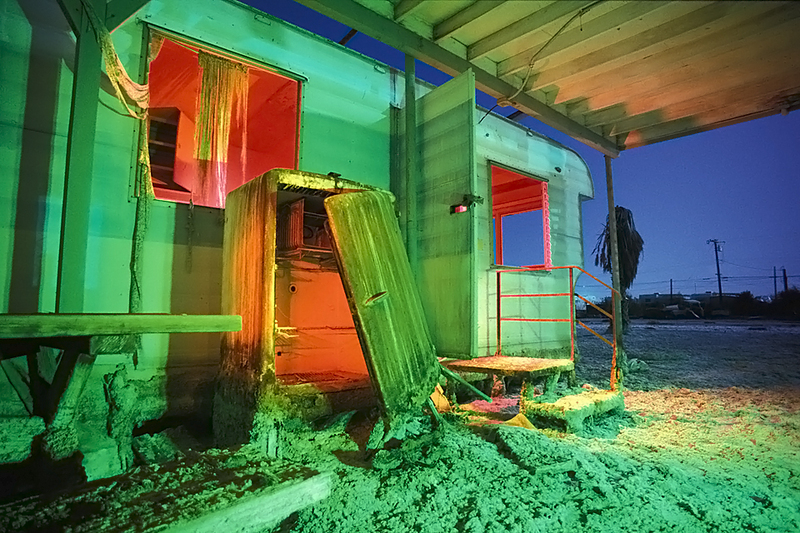 The Salton Sea is one of the most enigmatic places in the Southwest–an otherworldly lake in the barren, naked desert, sandwiched between the resorts of Palm Springs and the Mexican border. Its languid surface, at 228 feet below sea level, is only five feet higher than the lowest point in Death Valley. 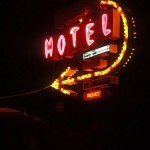 This former resort region had its heyday during the early 1960’s, when it was a bustling place filled with weekend revelers from the nearby Los Angeles and San Diego metropolitan areas. For a time, the Sea was a haven for boaters and fishermen. 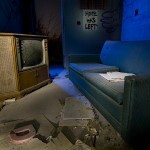 Today, the few people who remain are hardy individualist types looking for isolation and a cheap place to live. The air is heavy with heat and decay. 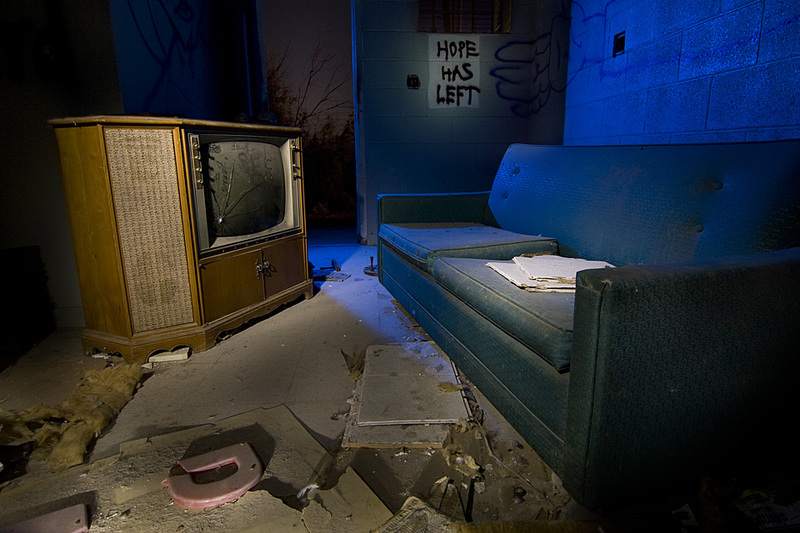 It’s a lonely, haunted place. 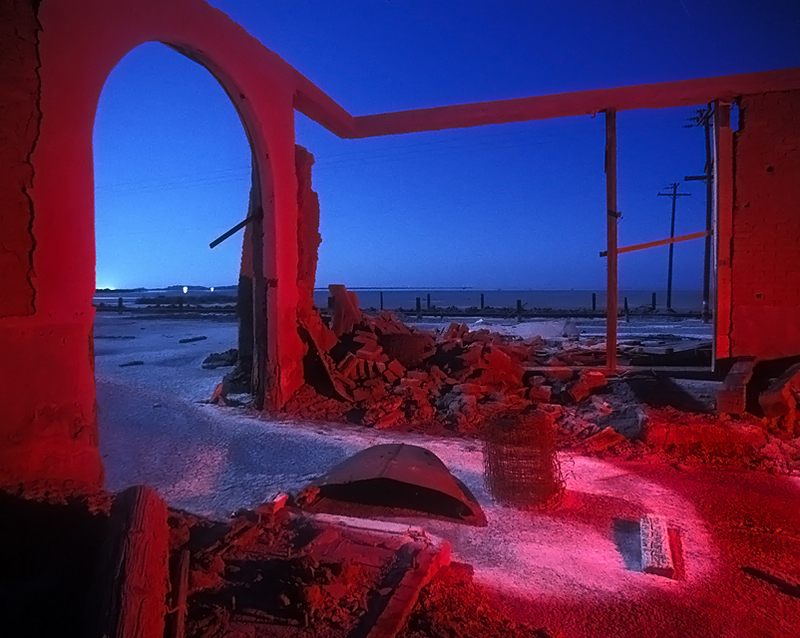 A large part of the town of Salton Sea Beach was inundated during the floods of 1976 and ’77. 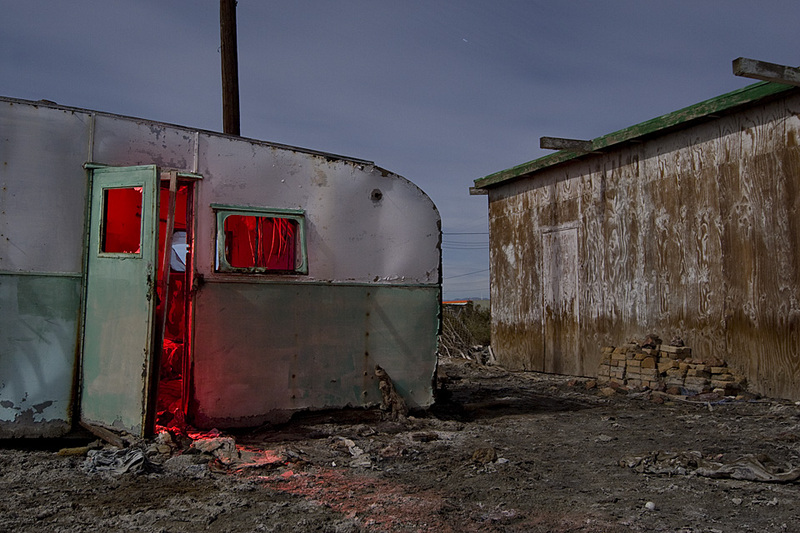 Night shooting these neighborhoods twenty years later found a desolate quagmire peppered with block after block of abandoned trailers, homes and businesses. 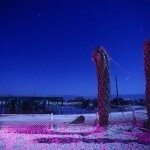 The ground was covered with a jagged white crust glowing brightly in the moonlight. Every few steps it’d crack under your weight, sinking you ankle deep, into the stinking mud. Somnolent flies stirred to life in black clouds with every step. 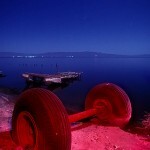 On the shoreline, a few unrecognizable cars rested up to their doorhandles in the sludgy water. Their bodies covered with a rocky crust, like a once submerged reef poking out of a calm sea. 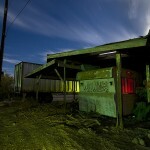 The rotten trailers and buildings were explosively hot inside, even hours after sundown. Their tattered curtains swayed in the evil smelling breeze as thousands of birds cawed at the swollen moon. The North Shore Marina gas station lay half underwater. 20 years after the flood, it was still seeping a lazy swirl of unnaturally colored fluid into the muddy shoreline. 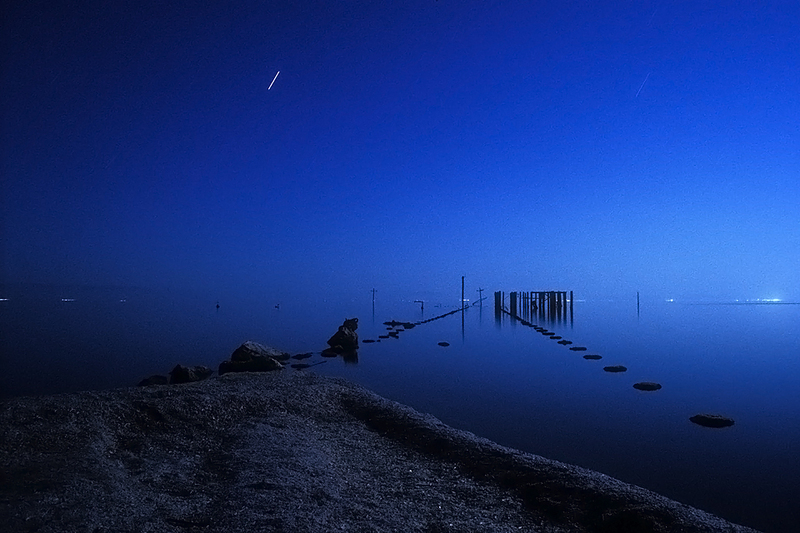 A shoreline riddled with thousands of dead fish, eyes glowing in the pale blue moonlight. Meanwhile, the nearby international-style motel exuded a quiet film-noir air of mystery, its windows and doors boarded up. The long, low, L-shaped building was finally torn down in 2007. 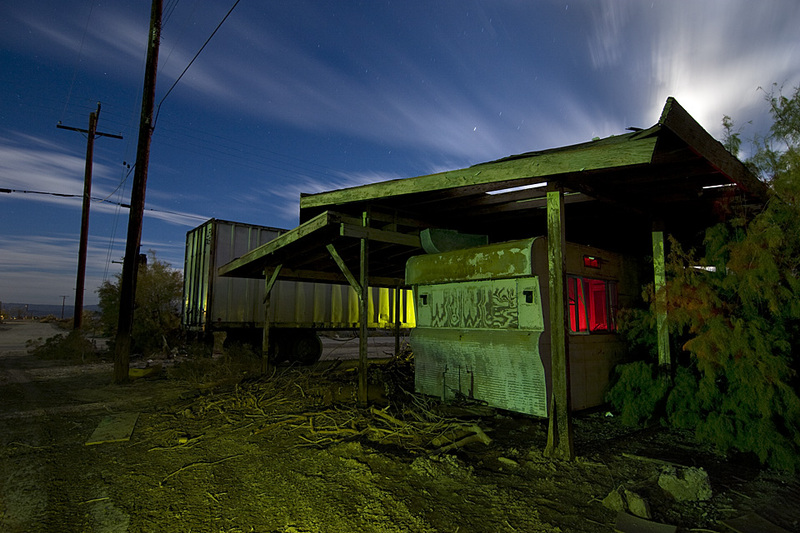 Along the southeastern shore near Niland sits an old adobe resort, dating back to the 1930s. Once the isolated retreat of the rich, it now sits far too close to the water in a field of thick, shoe-sucking mud. The adobe walls are slowly melting back into the earth. Mosquitoes run rampant here in the primordial marshlands, quickly attacking any skin left uncovered. 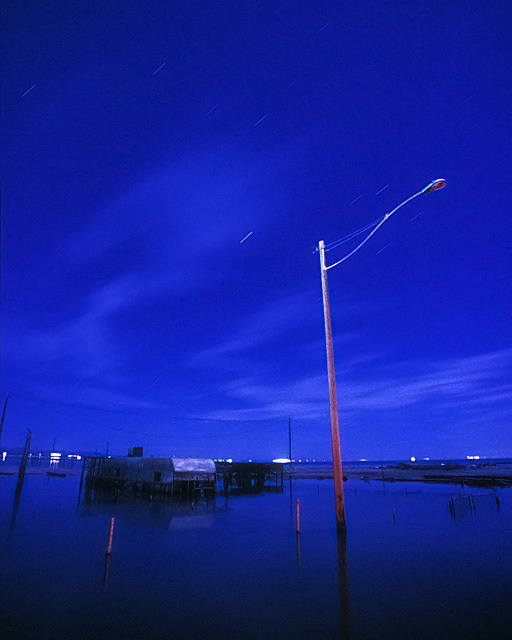 For the past several million years, the lowlands of the Salton Sink had been repeatedly filled by floods whenever the nearby Colorado River jumped its banks. Sometimes these resulting prehistoric seas would become large enough to join the Gulf of California over 100 miles to the south. Because of the oppressive heat in the region, they would quickly evaporate. The most recent of these inland seas, called Lake Cahuilla, dried up over 400 years ago. 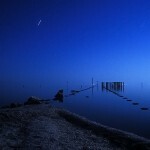 All this ebb and flow made the Salton Sink rich with salts and other minerals. Commercial salt mining began in 1884, but the region had provided salt for centuries, first for the indigenous tribes and later for the first settlers. Isolated and stupefyingly hot (more than 100 days a year over 100 degrees and temperatures well into the 120s during the summer months are common), very few people could stand to be in this part of the world until the waters came. The Accidental Flood and its Unexpected Benefits. In 1896, the privately owned California Development Company(CDC) built a canal to siphon water from the Colorado River to irrigate the barren region to the south of the Salton Sink. That region would eventually become the Imperial Valley. By the turn of the century, their plan was right on schedule. The valley had become a huge crop-producing region with settlers pouring in by the thousands. In February of 1905 several problems conspired to bring down the CDC’s empire. By 1904, sediment began to clog the canal. The CDC hastily built a second canal. When that clogged, they built a third. That year (in what would later be determined to be an El Nino weather pattern) the Southwest experienced its wettest season on record. The flooding on the Colorado was immense, causing it to breach its dikes and flood all three canals. Political infighting and eventually, financial insolvency crippled the company’s efforts to stanch the catastrophic flow. The entire volume of the Colorado River poured into the sink, unimpeded for over 18 months. At times, the water flowed at over 100,000 cubic feet per second. Four separate projects were started to try and stop the hemorrhaging river all ending in failure. Finally, 3,000 railroad cars of boulders and rock stemmed the flow in 1907. Practically overnight, Southern California had an enormous inland sea. At 380 square miles, it became the largest body of water in the state. However, this new sea did not quickly recede like it had in the past. Agricultural drainage from the new farms in the Imperial Valley to the south kept water flowing into the newly christened Salton Sea. 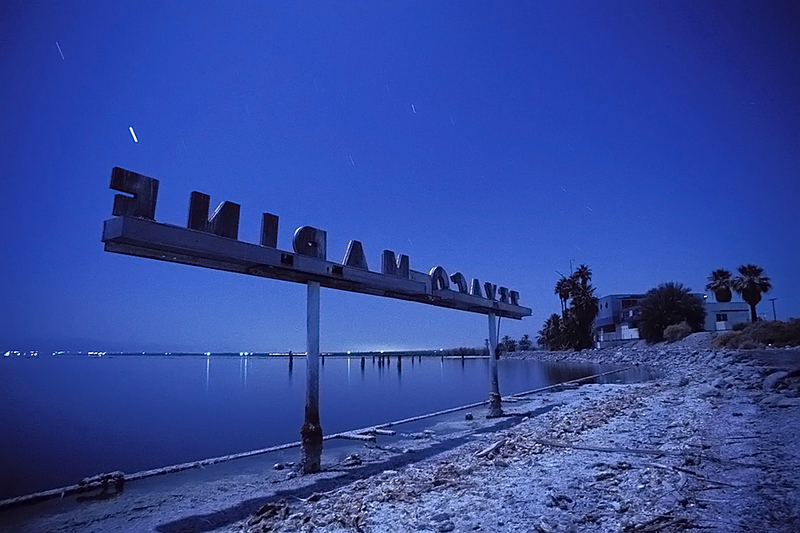 The Navy opened the Salton Sea Test Base in 1942 along the southwest shore. During the war, it served as a training base for seaplane operations. In 1944, B-29s, including the Enola Gay, secretly flew in from Wendover, Nevada and dropped dummies of the atomic bomb at the Test Base as practice for their Hiroshima run. 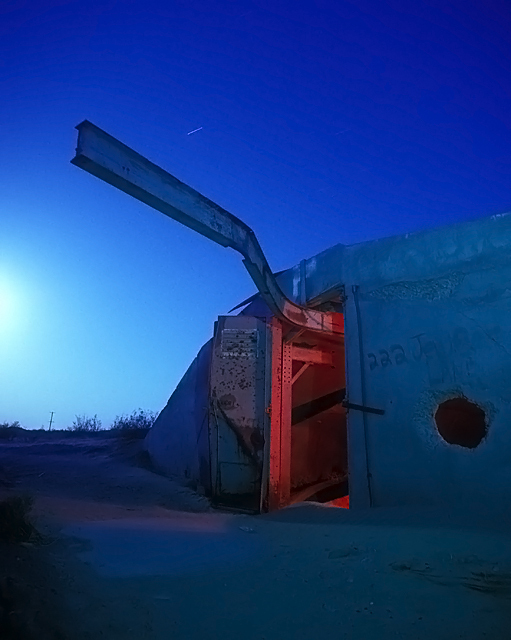 Abandoned since the mid-seventies, the SSTB was used for live-fire military training exercises through the eighties, completely destroying all the structures at the facility. Today the Test Base is surrounded by signs warning of unexploded bombs and is almost inaccessible due to encroaching sand dunes burying long sections of the access road. In the spring of 2000, I carried my mountain bike over the dunes and rode into the base. As I expected, all the base buildings were gone and the long seaplane pier had been bombed down to its pilings. 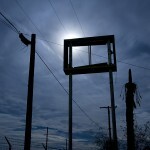 The only structures still evident were the concrete ordinance-storage bunkers. As I rode out of the SSTB late that night, my tripod slung over my shoulder, several Apache attack helicopters on maneuver buzzed me repeatedly. No doubt I was leaving an infra-red trail visible in their night scopes. Another military installation, Camp Dunlop, stood on the Sea’s east shore, near the town of Niland. 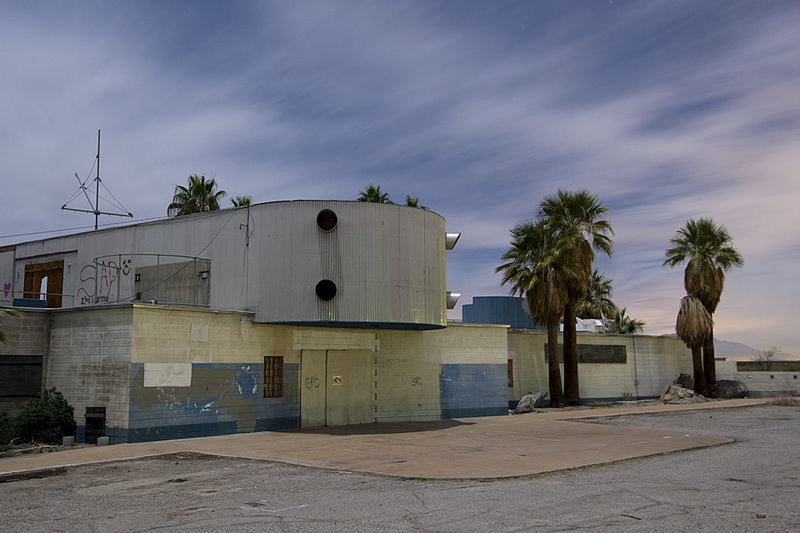 Part of Patton’s Third Army Desert Training Center during WWII, it was completely abandoned and razed by the early 1960s. Today this 640 acre site is a huge squatters camp. 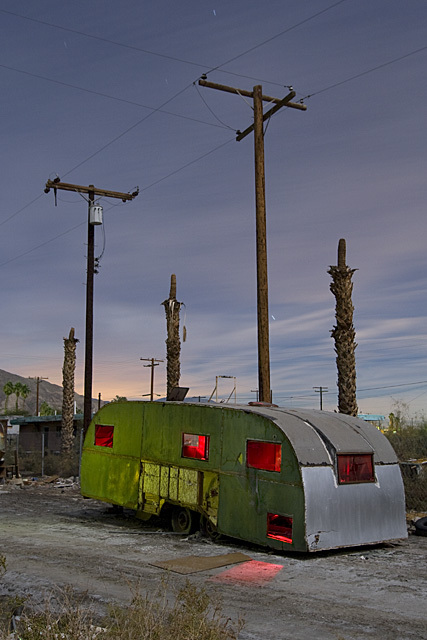 Known as Slab City because of the hundreds of concrete foundations left from the camp’s buildings, these level slabs are the perfect size to fit an RV. 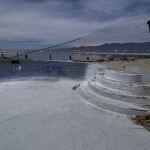 While it’s free, the lack of water, electricity and other services keeps The Slabs primitive. To the handful of year-round Slabbers, mostly retired people on limited incomes, it’s a matter of preserving a freedom-loving way of life. 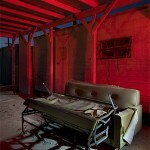 There are not many places left where a person can just pick a spot and park indefinitely. For them, it’s an Eden with few expenses and no one to answer to. To most people, it’s Hellishly hot and economically devastated. Summertime finds it a harsh place, populated by a band of survivalists, misfits and loners. 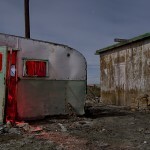 At night it takes on a “Road Warrior” atmosphere with numerous bonfires blazing among the patchwork of tents and overturned cars. 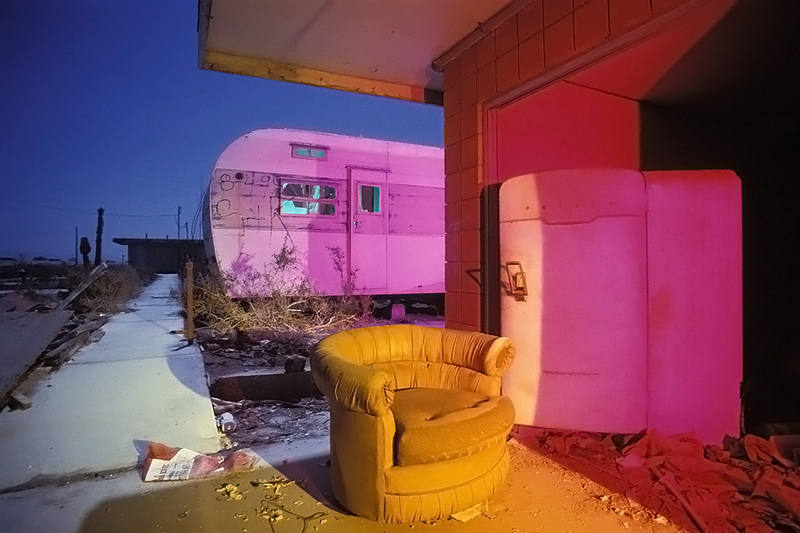 In the winter months, Slab City’s personality changes as snowbirds in their giant RVs swell the population to 5,000-10,000 souls. In 1950, the California Department of Fish and Game made a concerted effort to stock the Salton Sea with fish. Thousands were captured with large nets in the Gulf of California, and quickly released into the Sea. A few species survived, and the Orangemouth Corvina flourished. 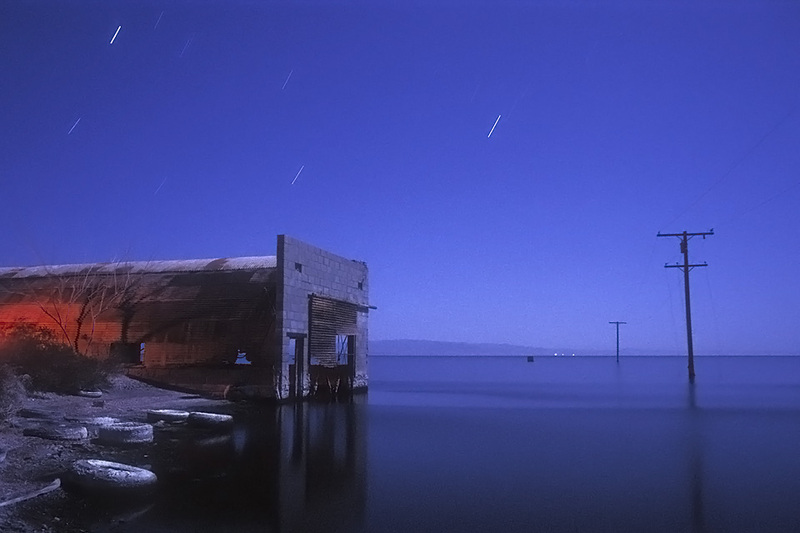 The Salton Sea quickly became a fisherman’s paradise. With all these new fish to eat, The Sea also became a new stopover point for migratory birds. As California built cities on its coastal marshlands, the Salton Sea became a critical part of the Pacific Flyway, part time home to millions of birds. 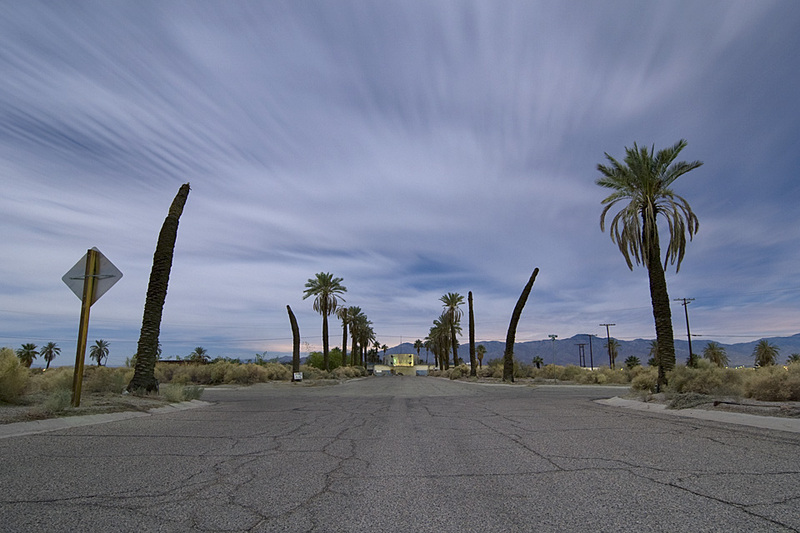 While the Imperial Valley continued as a bustling agricultural center through WWII, the Salton Sea area remained relatively unpopulated. 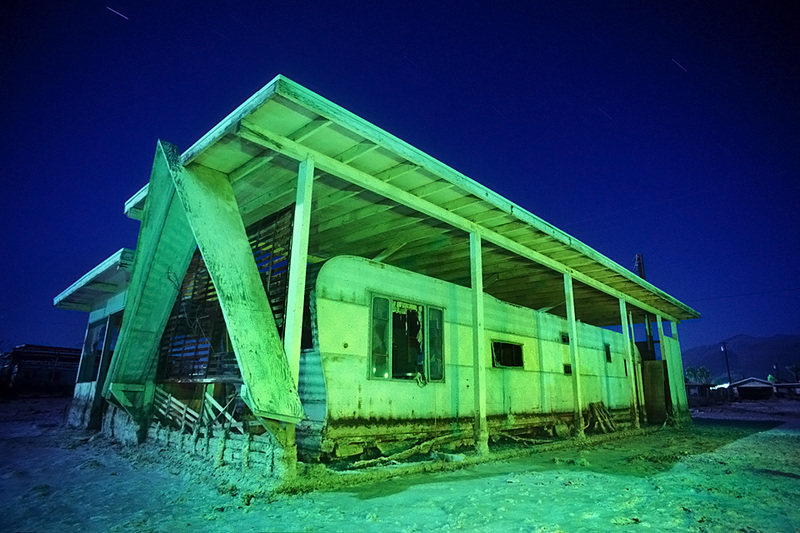 But once air-conditioning made the deserts habitable to more people, it didn’t take long for entrepreneurs to recognize the Salton Sea’s potential. With a clear blue inland sea and a year-round hot climate within a couple of hours drive of the Los Angeles/San Diego megalopolis, how could people stay away? 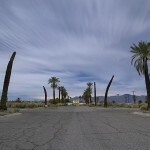 Seeing the explosive growth of nearby Palm Springs, developers envisioned the Salton Sea as a “desert Lake Tahoe” or a “Palm Springs on the Beach.” By 1960, several multi-million dollar marinas and yacht clubs had sprung up around the shoreline. Golf courses began to appear everywhere. Thousands showed up to watch the Salton Sea 500, a 500 mile powerboat endurance race. It was televised nationally, giving the Sea still more exposure. The Sea had more visitors than Yosemite through the 1950s and 60s. Even the Rat Pack hung out at Albert Frey’s North Shore Yacht Club, a sophisticated modernist classic with a nautical theme. 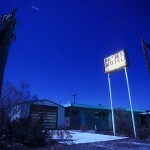 The Salton Sea was the happening place to be. Along the west and north shores, thousands of lots were sold by speculators . . . to speculators, but construction never really began in earnest. It was just too hot and the Sea was just too isolated. And the place had begun to smell . . .
By the late 1960s the Sea was beginning a metamorphosis. 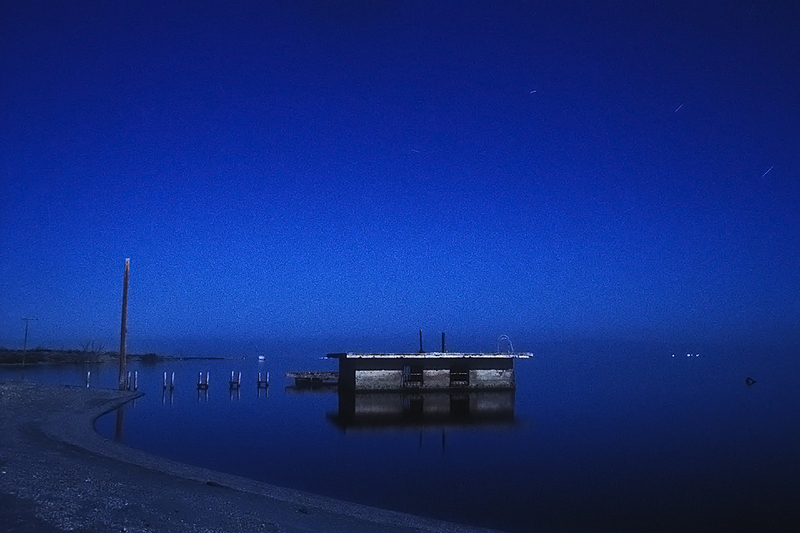 Rather than evaporating like a puddle in a parking lot as it had done over and over since prehistory, this time the Salton Sea stayed the same size. As it turned out, the Imperial Valley farms were dumping irrigation runoff water into the sea at the same rate as evaporation–about 6 feet a year. Unfortunately, salt and fertilizer don’t evaporate, so as the chemical-laden water from the farms poured into the basin, they combined with the already saline mixture of the Sea. 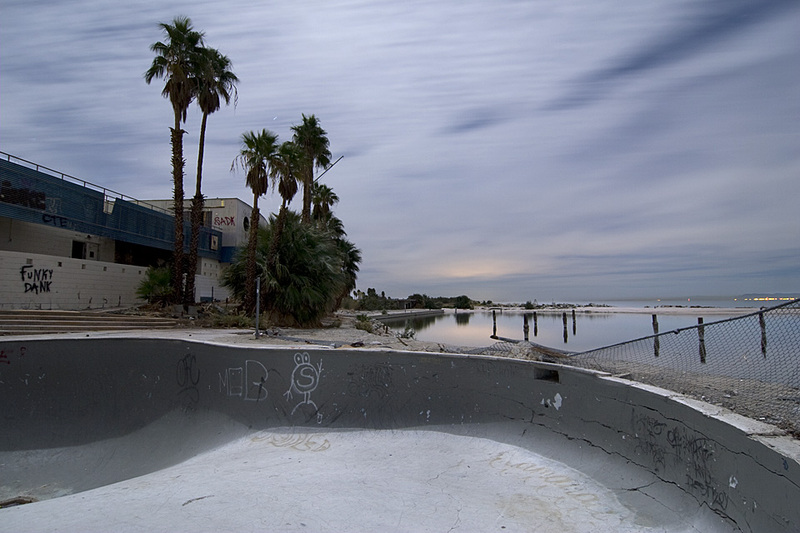 Since the Salton Sea has no outlet, the salt and chemical levels increased every year while the water level remained the same. The Salton started to get murkier and murkier. Then a cycle of bad things began. The first was the algae that fed on the fertilizer in the run-off. The vast, but short lived, algae fields created an enormous amount of rotten smelling, decaying matter as a natural part of its life cycle. The stench, combined with the oppressive heat, was, and still is, completely overpowering. Anyone with a sense of smell was forced to move away from the shoreline. Then came the floods. 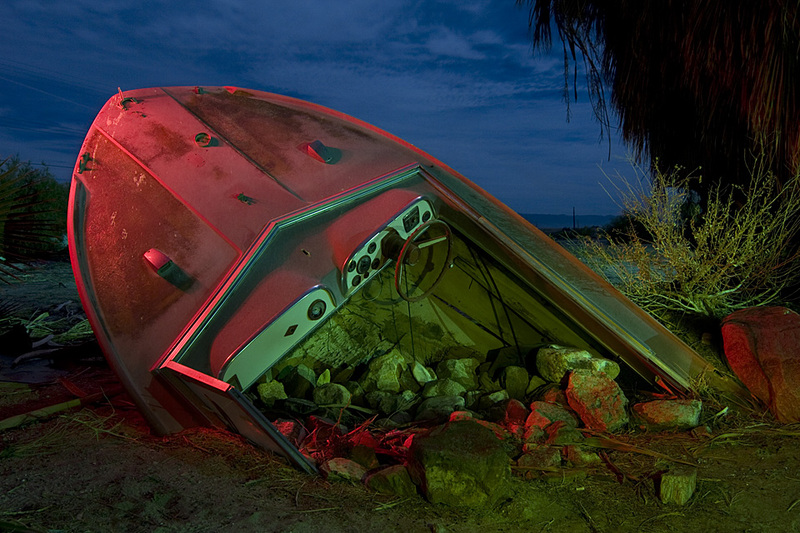 Tropical storm Kathleen pounded the Imperial Valley in 1976 with record-setting rainfall, and the water had no place to go except the Salton Sink. In 1977, Tropical storm Doreen blew through the Imperial Valley, the second “100-year storm” in two years. Floodwaters consumed the marinas and yacht clubs along the Sea’s shoreline. With its main income stream cut off, the local economies quickly collapsed and property values plummeted. By the mid-’80s, the cities around the Sea were barely hanging by a thread. Whole flooded neighborhoods were just abandoned, and left to rot. By the late 1980s, the wildlife die-offs began. First, the fish began dying in biblical numbers when the all-consuming algae depleted the oxygen from the water. Feeding on the rotting fish, the birds contracted botulism. 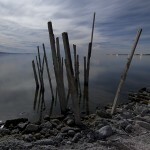 Almost every year through the nineties, tens of thousands of dead fish and birds washed up on the shore of the Salton Sea. When 150,000 Eared Grebes died in 1992, it was a disaster that completely overwhelmed the facilities of the Salton Sea National Wildlife Refuge. Their disposal incinerator ran 24 hours a day for months. The much smaller Brown Pelican die-off of the late nineties received massive media exposure and brought the plight of the Salton Sea into living rooms all across America. In the summer of 1999, 7.6 million Tilapia died from oxygen starvation caused by the overabundant algae. Their rotting carcasses rimmed parts of the Sea for over ten years. Combined with the decaying algae, it had to be smelled to be believed. 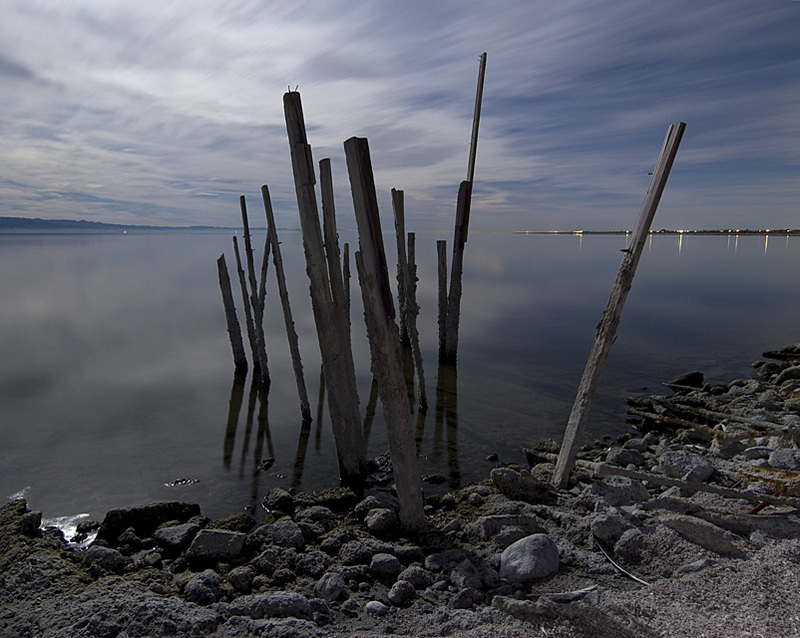 Disagreements abound regarding what to do with the Salton Sea. Some advocate diverting the flow of the agricultural runoff to allow it to dry up and blow away, as it always has done in the past. Still others believe the only way to save the Sea is by cleaning it up and keeping it as a valued part of the Pacific Flyway, constructing evaporation ponds in its northern half as a way of desalinating the water. Another faction wants to do nothing, saying that the imminent death of the Sea has been greatly exaggerated in the media. Because of these endless arguments between scientists, politicians and bureaucrats, nothing has happened and the region just gets sicker and sicker. It won’t be long before the entire system collapses like a giant untended fishbowl. 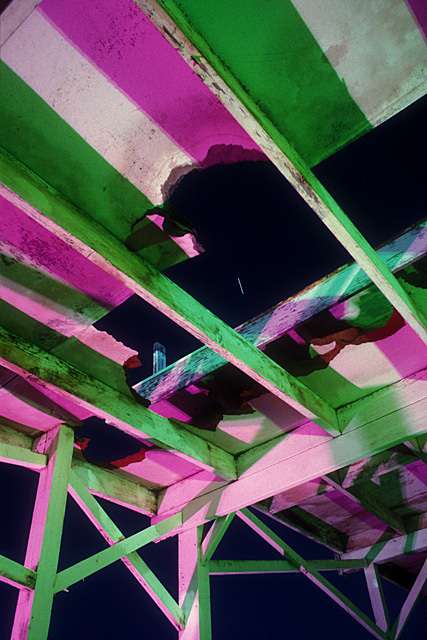 The images in this set were shot between 1992 and 2008. Over the years many of these locations have been cleaned up. Most were erased without a trace. The one major exception is Albert Frey’s North Shore Marina. 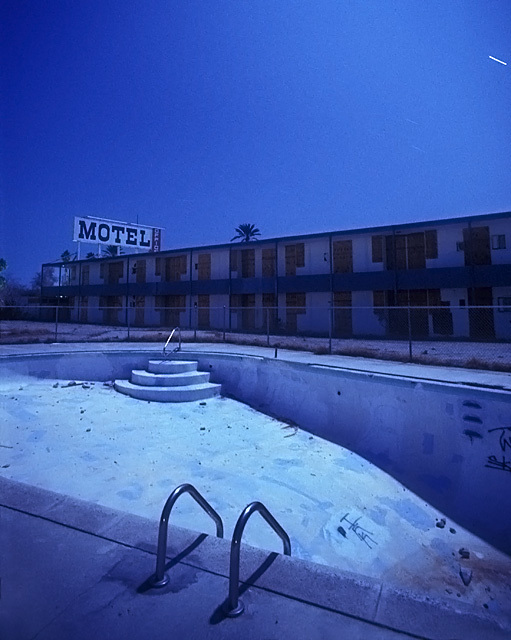 Once a luxury resort frequented by the Hollywood elite, after the floods it stood undamaged and sealed up for decades. 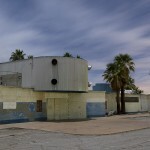 In 2005 it was repainted as “The Aces and Spades” and used for an action sequence in the sci-fi movie “The Island” that left the interior gutted. 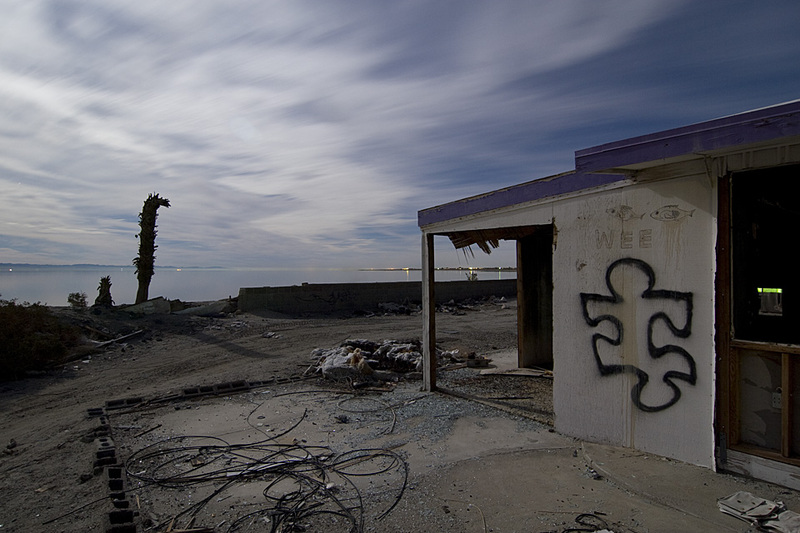 While it celebrated it’s 50th Anniversary as a wrecked and abandoned hulk, Frey’s nautically themed masterpiece was restored and reopened in 2010 as a regional recreation center.